Most homeschool parents are pro homeschooling. Here are a few reasons why homeschooling is a great idea. 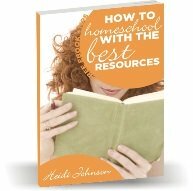 Flexible schedule - Homeschoolers can get their work done early or late. Homeschooling or tutoring does not take as long to complete as public schooling. If students want to work ahead and get done faster, they are free to do that. If they need to work a little slower and spend more days on schoolwork, then they can do that too. Parents can schedule field trips and vacations at different times than public school parents and still be able to get all the work done that needs to be done. Spend time with great kids - Whose children do you love more than your own? None. Yes, they can get on your nerves a little more if you spend all day with them, but they are still probably the children you would rather spend your time with. Children are not paced with other children - Your child can work slower or faster than other children and no one needs to know either way. Your child can work at their own pace and not be labeled as a slow learner. Better communication with adults - Almost every homeschooler that I know can communicate with just about any age group with ease. They are not used to spending time with just their age group, so they can relate to all age groups better. Less emotional stress - Homeschool students do not have to deal as much with peer pressure and bullies like public school students do. Religious choice - Parents can choose whether their children will learn about the Bible in their every day curriculum. They can be exposed to the religious beliefs of their parents and not have to worry about being influenced by other religions in school. Able to sleep more - Any parent of teenagers knows that they need lots of sleep. Homeschool students are able to arrange their homeschool schedule so that they can get the sleep that they need. When people don't get enough sleep, their bodies suffer and can have lasting health problems that could plague them for years to come. Helps with the teen years - Homeschoolers can relate a bit better with their parents because they don't have as much peer influence as public school students. Parents can spend more time investing their lives in their children encouraging and coaching them. Not as expensive as private schooling - Many parents send their children to private schools to avoid the influences of public school along with smaller class size and quality of education. This can all come at a cost. Homeschooling can be accomplished for a tremendous amount less money than private schooling which is another great reason to be pro homeschooling. 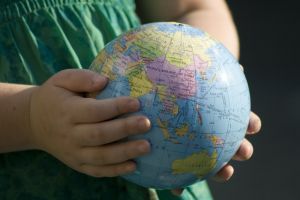 Can explore other areas of education not available in school - Students can choose to take classes, work on projects, or travel to other countries that they might not be able to fit into their schedule if they were in public school. Sometimes students can pursue internships or study courses that their local school doesn't provide. Whether you are pro homeschooling or not, the fact is that there are pros and cons of homeschooling and each parent needs to decide for themselves what is best for their own child.